The HoneyBee Child SwingEase is a new, patent-pending product that converts any playground swing into a safe and comfortable swing for your child. The SwingEase also allows a child to swing on a caregiver's lap while safely secured! The HoneyBee Child SwingEase is a new, patented product that enables a toddler to safely and comfortably use a traditional playground swing either on their own or with a caregiver. 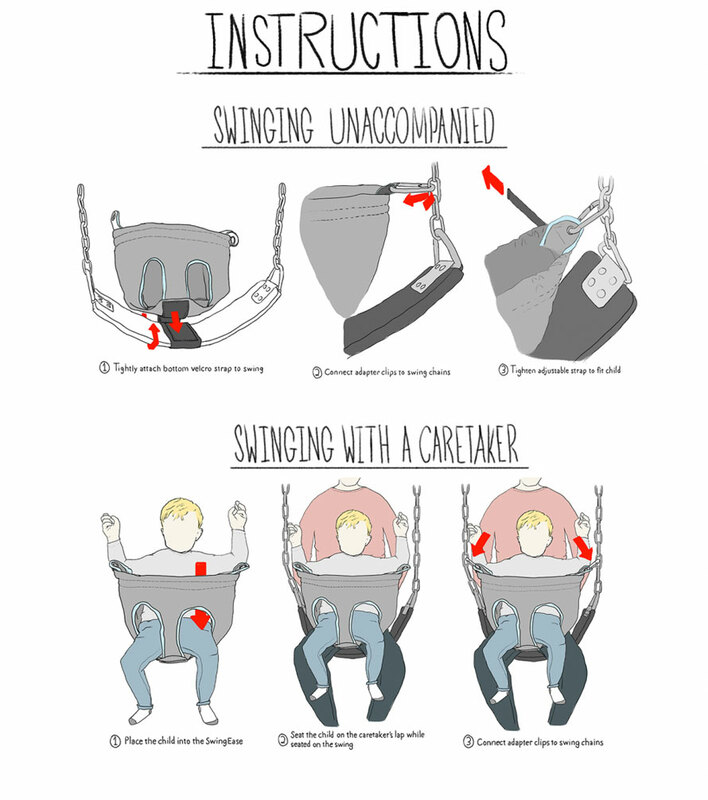 Never again be stuck with your toddler at a playground without toddler swings! Purchase your SwingEase today at honeybeechild.com! Check us out at facebook.com/honeybeechild and twitter.com/HoneyBee_Child.